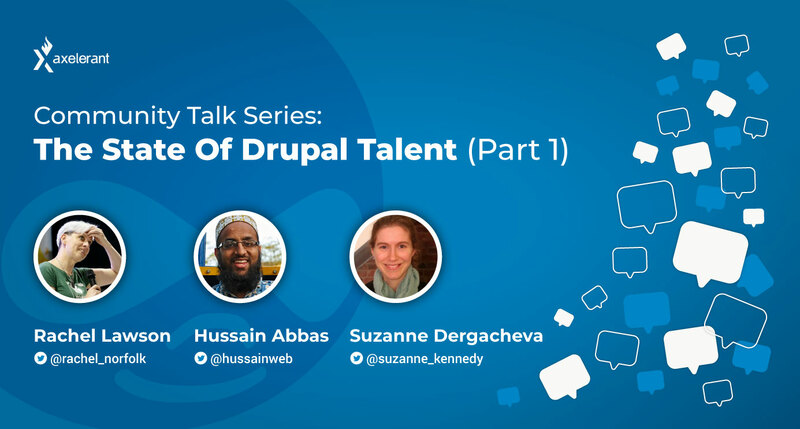 In Part 1 of this series, we speak with Rachel Lawson, Hussain Abbas and Suzanne Dergacheva on the challenges agencies face with regard to finding Drupal talent, and how to solve them. Rachel is Community Liaison with the Drupal Association, where her role involves building a better understanding between the Drupal Association and the community. She’s been in the community for over 11 years. We asked her about her thoughts on the Drupal talent challenge. “It seems very much in favor of the talent at the moment,” she says. In Rachel’s experience, people with Drupal skills do not seem to be finding it difficult to find work. But it’s not just Drupal skills agencies need. A holistic Drupaler is more than just a coder. Knowing how to use a particular framework is only a small part of what comprises a well rounded Drupaler—which includes a number of other skills like planning and structuring projects, good communication, and understanding the importance of testing. “The code is important, but the community is bigger than a code community,” Rachel says. In particular, Drupal attracts the type of talent that builds large, complex websites for well established brands. “These are different people. They understand how to work in large teams. They’re the cream of the crop, and they can be quite hard to find,” says Rachel. And Drupalers, by instinct, need to be collaborative. “It’s very difficult to work on something solo in Drupal,” says Rachel. She explains how code contribution into Drupal core is structured to avoid the likelihood of one person doing all the code and other people commenting. The Drupal community actively encourages lots of people working on the same issue. This is probably why, in Rachel’s opinion, the Drupal community attracts a lot of people who are good at working together. “That we very much want that says a lot about the type of people we want involved in projects,” she says. Most open source projects aren’t so heavily focused on collaboration. Agencies, work together to scale the talent challenge. Rachel feels that not enough agencies are working together to grow senior talent within themselves. Senior roles are all about recognizing patterns, knowing how things should be structured, how to grow junior talent within the organization, etc—in many ways, these are similar concerns to those met by the core mentoring program. So each DrupalCon and Dev Days, the community is already doing a little bit of this through the mentoring program. Agencies can get together to boost the impact of mentoring across the community, so that developing junior talent is a goal that’s built into how the community functions. And this would give potential senior talent an opportunity to grow as well, through mentoring others. Contribution is more about opportunity than duty. In Rachel’s opinion, it is always an agency’s choice how much they choose to give back. “I never ever want to place a sense of duty on somebody for giving back,” she says. That sense of obligation is, she finds, what leads to Drupalers and agencies ultimately suffering due to burnout or potential financial implications. Hussain works as an Engineering Manager at Axelerant. He started writing programs in 1997 for school competitions, and never stopped. 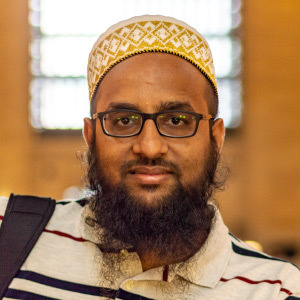 His work focus is architecting solutions using Drupal and enforcing best practices. We asked him for his thoughts on the Drupal talent challenge. Drupal isn’t cool anymore. And that’s not a bad thing. There are a lot of use cases where Drupal solves the business problem, but it's still perceived to be a bloated enterprise tool which just does not attract people. And that's not necessarily a false perception, he feels. “Drupal is done being cool. Now, it ticks a lot of checkboxes, which makes it relevant for large enterprise businesses.” Drupal has been around for a long time, is stable and mature, and has one of the best communities among tech communities. But something like Drupal can be relied on. It’s been around for a long time, and it’s backed by a whole ecosystem of Drupal agencies, especially in the enterprise segment. People care about how Drupal helps them. “I don't think people care about the nuts and bolts of Drupal. People care about how it helps them,” says Hussain. “Think of it from the point of view of someone evaluating if they should learn this technology or not.” That learning is an investment on their part. This is the Drupal adoption journey for the developer. And we have to find a way to make that experience better. Hussain also finds that people generally prefer opinionated frameworks, like Laravel. But with Drupal, the general goal is usually to make everything very flexible. “The problem with this is that unless somebody has been in the field for a long time, they will not know what the best way is to do something,” he explains. Where will the industry be in five years? If the talent challenge remains unsolved, Hussain believes the industry would eventually become unsustainable. “We see some of this with Drupal right now—people who are on Drupal 7 and cannot migrate to 8 because there is significant cost associated with it. And now it’s already challenging to find developers working with Drupal 7,” he says. If this problem were to go unrecognized, it would be just a matter of time before Drupal would be replaced with something entirely new. “We also have to see what the cool thing is right now,” he says. Effort is going on in the decoupled space. React is the cool kid on the block right now. There are a lot of initiatives that are bringing React and Drupal closer, making it more popular. So one approach to solve this is to consider not just pureplay Drupal but new technologies plus Drupal. Drupal could become the mooring technology, says Hussain, not the visible layer but the reliable backend making everything work. We need to invest in Drupal training curriculum. Ultimately, Hussain says, agencies should really be investing in either supporting an existing training curriculum that works or building one. “There are many people interested in training people and they do, but there are a lot of places where this fails, because they don’t always consider where the other person is in terms of their journey,” he says. And most training programs do not scale beyond a handful of participants. An open training curriculum could be aligned with ongoing efforts such as Global Training Days. And agencies could also start conducting their own bootcamps, building scale. “We need to make it professional. A lot of people want to enter the Drupal domain but don’t know where to start,” he says. An open training curriculum that others can adapt and use could help address a lot of challenges in Drupal skills training. 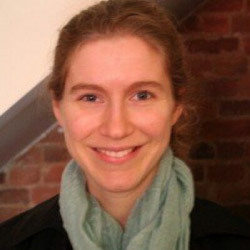 Suzanne is Co-Founder and Front-end Developer at Evolving Web, and a recently elected Drupal Association Board Member. Evolving Web has been offering Drupal training courses to the community since 2011. We spoke with Suzanne about her experiences and observations. Is the Drupal talent gap a real phenomenon? “It’s definitely real. One of the reasons we started our training program was because we were having difficulty finding Drupal talent in Montreal,” she says. She and her team at Evolving Web began to feel that offering training for developers would be a good way to get people into Drupal. It would get them excited about Drupal, and also introduce Drupal to the wider open source world. “Because one of the things we find is that a lot of developers come and have an interest in working with us, and they might have a background in PHP or other languages. 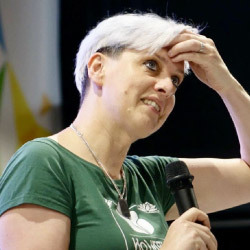 But one of the gaps is that they don’t have experience working with an open source project or a framework like Drupal, where there's so much to learn about the framework,” she says. Just a training workshop isn’t enough in itself. Their first training was a community training at Drupal Camp Montreal. They found that this didn’t give them enough time to teach people Drupal development in a meaningful way—so they started doing trainings at their office. “Our trainings are bootcamp style, where you learn a lot really quickly,” says Suzanne. Of course, not all the information and strategies can be put into practice right away. Most people need to take an intro course, play around a little bit, put their learning into practice, then take some advanced courses and put that into practice. Suzanne also points out that in introducing someone to Drupal, it's important to think from the point of view of the developers, keeping their experience in mind. She mentions how a lot of programmers in her course are used to learning things quickly and in a certain way, or following a certain kind of development process. “I think it’s important not just to teach people how to do a certain task, but also to teach them how to learn—what to learn next. how to avoid common pitfalls—all this is a big part of training as well.” In the end, it’s about teaching people how to learn from the community, not just on their own. Driving from the developer experience, an adoption journey can be built, considering what those initial touchpoints are and developers’ growth through that adoption. From a user experience standpoint, it’s clear that there’s potential to tailor the Drupal experience for users, through sharing emails, videos, links to useful resources, and other information and media at appropriate stages in the adoption journey. Drupal relies on its culture of contribution. Drupal has a core group of committers that’s really invested and involved. And this is important to sustain. “Building a culture of contribution into how people learn Drupal is something that Drupal’s always relied on.” Drupal community members can take for granted that if someone finds and reports a bug, they’ll also go ahead and put the patch in the issue in the hopes that it’ll get fixed. Centralizing and coordinating contributions is another way to generate more impact with the same volume of contribution. Agencies must invest in teaching Drupal. At this point, Suzanne believes, Drupal is a complex enough platform that people are more likely to learn effectively in a group. They’re not so likely to just set off on their own to learn Drupal. And this makes it all the more important that the community works together to create such opportunities for structured learning. Continue to Part 2 of this series, in which we speak with Baddy Breidert of 1xINTERNET and Aimee Rae Degnan of Hook 42.